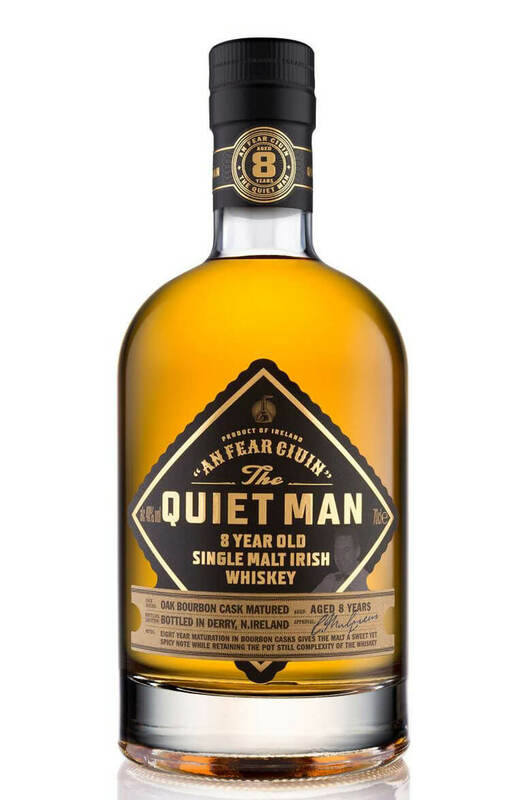 A smooth and delicate single malt Irish whiskey that has been finished off in Niche Drinks' own fresh Bourbon barrels. This is named after the father of founder Ciaran Mulgrew. The 'Quiet Man' John Mulgrew was a bartender who despite hearing many interesting stories over the years never told any tales. Taste Smooth and viscous with vibrant fruit salad flavours, pineapple, vanilla, honey, red apples and guava. Nose Aromas fresh oak, carpenter’s shop, cedar wood, peach, apricot and pear then some fresh lemon notes. Finish Some gentle oak spice notes of cinnamon, and ginger with toasted oak and pepper on the finish. Colour Pale gold in colour. A top quality blended whiskey from Niche Brands who have plans to build their own distillery in Derr.. Aged solely in top quality ex-bourbon barrels and bottled in Derry, Northern Ireland. The people beh.. This is a fantastic 12 year old single malt that has been initially matured in ex-Bourbon barrels be..